It is with a heavy heart that we announce the passing of our dear colleague and friend, Tim Healy who was FIX’s Global Marketing and Communications Director for the last several years. As many of you know, Tim had been battling a rare form of kidney cancer that had unfortunately spread to his brain. He always employed a strong will and positive outlook; he never gave up the good fight and pushed through, working right until the end, even managing to attend the EMEA Trading Conference just 4 weeks ago. We will miss his kind, gentle smile, his sharp wit and calming presence. We will be forever grateful for his contributions to the FIX Trading Community. As we mourn the loss and cherish the memories we have with Tim, we ask you to please keep his family in your thoughts and prayers. We have set-up a donation page on the Cancer Research UK website in remembrance of Tim. Sadly, Dave Tolman, colleague, friend and passionate post-trade leader suddenly passed away on the 18th of April. Dave was instrumental in driving forward FIX post-trade initiatives since 2012. The FIX Trading Community is indebted to Dave for his contributions and leadership in the post-trade space. Please keep his family in your thoughts and prayers. It is with deep sadness that we announce the passing of one of our FIX founders – James Leman. 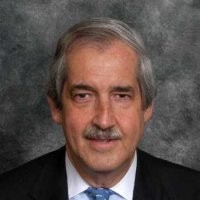 Jim’s career in the financial services sector spans over 40 years and includes employment at the New York Stock Exchange (NYSE), Salomon Brothers / Citigroup, SunGard, HSBC, Westwater Corp, Eleven Canterbury and most recently his own management consulting firm. While at Salomon Brothers, Mr. Leman worked with colleagues and counterparts at Fidelity Investments to develop the first versions of the FIX Protocol as a bi-lateral framework for the electronic communication of equities trading nearly 25 years ago. 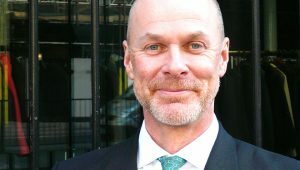 Recognizing the significant potential of this innovation, and the cost savings and efficiencies it could present to the financial services sector, he worked tirelessly to champion the global adoption of the FIX Protocol by both competitors and clients, alongside fellow founders of the Protocol – Jacques Perold, Bob Lamoureux and Chris Morstatt. Jim and his fellow founders were honored at a 10th year FIX anniversary award dinner where they shared their journey in launching the FIX Protocol. The long-term success of FIX is in a large part due to the accomplishments of Jim Leman and his colleagues who have helped to develop the Protocol and have so effectively promoted its adoption. Jim will forever be remembered for his passion and drive in making the FIX Protocol the success that it has become today across the globe. Without his vision and determination, the significant cost savings that the industry continues to benefit from through the mass adoption of FIX would not have been possible. Jim, you will be missed but forever in our hearts.